Consumers expect the same or better experience from their premium online video service as they receive from traditional TV services. It is not enough to deliver exceptional service if it can't be sustained consistently for each viewer. The bar on performance and consistency for streaming live and on-demand video requires that online content providers get the most out of their content delivery network (CDN) partner(s). In this Part Three of “Best Practices for Premium Video Streaming,” we’ll explore key requirements to ensure CDN performance meets the growing expectations of broadcast-scale audiences. In assessing CDNs, online content providers should first determine if the provider can consistently produce the desired viewing experience for the range of devices being targeted. Performance must be maximized across both fixed and mobile networks. 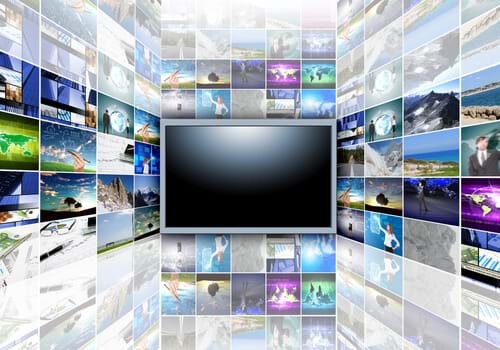 A study conducted by Akamai and Sensum measured viewers’ physical reactions to streaming video content at varying quality levels. The study revealed that buffering and low picture quality caused viewer engagement to drop by 20% and viewer happiness to fall by 14%, along with a decrease in the viewers’ focus. Content distributors can avoid such negative consequences by establishing a set of KPIs for which their CDN provider should report and be held accountable. Any set of indicators should include minimum thresholds for bitrates and rebuffering. For situations where video is being downloaded rather than streamed, download speed should be considered. In addition, the percentage of successful client server requests—or success rate—should be measured. Standard fare should be a guarantee of at least 99.99% fulfillmentand a rigorous internal approach to measuring performance and managing against the established KPIs in order to achieve the broadcast levels of reliability and consistency that end users expect. End-user experience is often limited by the weakest link in the workflow, whether that is an origin generating errors, an authentication system that can cannot handle the load, or a dynamic ad insertion solution that is taking too long to respond. CDN users should evaluate redundancy capabilities and available options for graceful fallback and degradation. Dual origins are recommended to provide a redundant source of content, and mechanisms should be in place that select the best-performing origin and automatically failover between origins. The abilities should also be in place to set aggressive timeouts on the forward path to origin and quickly retry requests to handle transient errors. Finally, the CDN should be able to load share across origins. The CDN should act as a circuit breaker when integrating with third-party systems such as dynamic ad insertion. In cases when ad insertion is taking too long or an error is generated, for example, the CDN should ensure the continuity of the stream by inserting a static ad or returning an undecorated manifest to the end user. There are many other potential points of failure in a complex workflow, but expectations should be that the CDN provider can help handle these issues. They should have experience from working with many other customers across similar environments and posses both expertise and technical solutions to mitigate end user impact. The ability to achieve the above thresholds depends on many factors, including CDN architecture, reach, functionalities, and robustness. First and foremost, CDN edge locations must be positioned in close proximity to targeted end users. A highly distributed architecture helps ensure content can be delivered consistently and reliably through ISP networks, bypassing the bottlenecks at centralized peering locations. Deploying a distributed platform, establishing relationships with myriad network providers, and developing software that can accurately and consistently map end users to servers based on location, performance, and real-time network conditions are a bare minimum for delivering the high-quality experience that users expect today. Capacity is necessary to accommodate scaling requirements for major events and ongoing expansion of streaming traffic to an ever-growing number of users worldwide. While caching is a basic CDN feature, caching high-value streaming video requires great agility at scale. For live content, CDNs must be able to cache for specific, short-time durations enabling all users to access the stream at the segment starting point.For VOD content, CDNs must be able to manage huge libraries of content with a longtail that is rarely accessed and a subset of assets that are highly popular. Flexible content handling rules enabling fast purge and fast configuration deployment are basic requirements. But CDNs optimized for high-value streaming must be able to support enhanced functions in connection with ancillary aspects of content delivery such as special promotions or changes in offerings. Users should be able to “prewarm” the network to ensure greater origin offload at launch, while using a time-based rule to trigger delivery at the precise moment of launch. Content providers can use manifest manipulation to offload complex functions that help drive revenue and meet viewer expectations. Custom manifest files can be created for each viewer, allowing providers to dynamically apply advanced logic at the edge of the CDN rather than early in the content preparation phase, providing greater flexibility for those with complicated workflows. 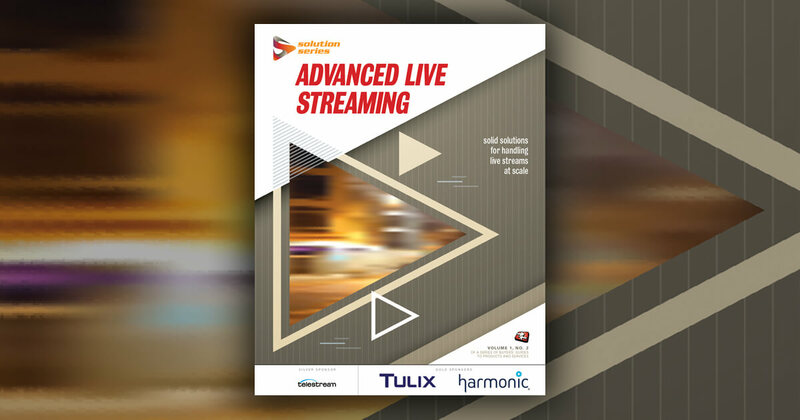 This helps enable personalized streaming experiences based on factors such as device type, network conditions, and geographical restrictions. CDNs can also work in tandem with ad decision systems to enable dynamic implementation of advertising on a per-user or per-region basis. CDNs play an important role for OTT distributors who need to protect their premium content against unauthorized viewing. As a best practice, CDNs should support end-to-end transport layer security (TLS) for all content to enable secure transport of content, as well as personalized token authentication mechanisms to restrict access to authorized users and to prevent link sharing. Content targeting solutions should be available to enforce geographic rights, and these solutions should include mechanisms to detect and block VPNs and proxies that are often used to circumvent rights protections. In a recent live streaming event with more than 10 million concurrent viewers, Akamai observed more than 50% of traffic over IPv6. The company’s tracking data shows IPv6 traffic in seven countries now exceeds 15% of internet traffic. While IPv4 remains dominant, the percentage of IPv6 traffic has reached a point where CDN support for the protocol is essential. CDNs must be equipped to support Dual Stack by delivering both IPv4 and IPv6 traffic. This requires implementation of IPv6 routing capabilities across the CDN core and the ability to perform address translation at edge facilities connecting with any local network infrastructure that doesn’t support IPv6. Streaming performance has improved over the past several years, thanks in part to advances in HTTP. With increasing reliance on live event and linear 24/7 subscription services, content distributors must be able to go beyond the performance capabilities of transmission control protocol (TCP) while retaining the advantages of HTTP/2. This can be done through adaptation of user datagram protocol (UDP) transport. The industry has endorsed a new approach for using UDP for adaptive streaming known as Quick UDP Internet Connections (QUIC), which is now in the final stages of standardization. QUIC is an alternative transport that encapsulates HTTP formatted streams in the flow. It employs a number of techniques to minimize blockage, such as pacing packet generation and proactive retransmission of important packets for actions like error correction or initiation of encryption. QUIC also lowers latency by reducing the number of roundtrips required to set up a connection and avoiding the need to set up connections with secondary sources on a web page once the primary connection has been made. Support for QUIC is expected to rapidly penetrate the device market, making it a fundamental requirement in CDN operations. Advances in monitoring and analytics anchor superior OTT user experiences. Here's a road map for pre-event testing that will ensure high-quality performance across the board. Video playback is where the rubber meets the road. Make sure you're using a player that gives you all the functionality you need to successfully deliver your high-quality content to a fragmented device universe. The second installment in a series looking at best practices for delivering premium video content, this piece explores preparing OTT video for delivery over content delivery networks. In this first installment in a series of articles looking at best practices for delivering premium video content, we look at managing the first mile.